Just returned from helping to cover a Meet-the-People session for one of our MPs busy during the 7th month and parliament sitting. I have been waiting to write this after hearing that awfully sad news that there will be a walkover for the reserved Elected Presidency because only one has been qualified to run for the office. ISA against political detainees, Marxist conspiracy, law suits that bankrupts political opponents, GRC system, upgrading of HDB estates for votes, and frequent manipulation of electoral boundaries. These were things that irked me as I became more politically aware growing up in post independence Singapore. I had admired the economic transformation of Singapore by the first generation of leaders. When I started work, started travelling around the world and read more widely, I had felt that the tight controls imposed by the ruling PAP would be harmful for Singapore in the long run. When I entered politics, finding that there were things like AIM with the huge capacity to trip up the opposition taking over town councils through the control of data irked me even further. Today, the reserved election for the Elected President (EP) has just been added to the list. We have built a first world country but we have a very third world democracy. This is not Singapore’s first election for president. We had an unenthusiastic opponent against the establishment’s choice of Mr Ong Teng Cheong in 1993. Nevertheless, the unenthusiastic Mr Chua Kim Yeow polled a decent 41.3% of the votes. Then there was Mr S.R. Nathan who had two terms as President through walkovers. In 2011, there was a keenly contested PE with 4 candidates. Mr Tony Tan became president with barely 35% of the popular votes and won Dr Tan Cheng Bock by a razor thin margin of just 0.35%. This year, just months before the PE was to be held, parliament rammed through amendments to the Presidential Election Act that saw this election being a reserved one for Malays and the criteria for financial management being raised very substantially. In one stroke, Dr Tan Cheng Bock is disqualified from contesting this PE. No, I do not buy the argument that we need a reserve election for Malays to be elected. We have never ever had a Malay or anyone from the minority race lose to a Chinese candidate in a PE in the past. Neither had the government attempted to put forth any Malay candidate for presidency in the 47 years since President Yusof Ishak, until now. Yet the government concluded that there must be circumstances that the presidential election has to be reserved for minorities and it has to be this year. Two enthusiastic and successful Malay businessmen stepped forward. Both are self-made businessmen with rags to riches stories. They did not inherit their wealth nor were parachuted like army generals into companies with huge shareholders’ equity. First generation successful business people tend to be prudent and have good financial judgement to be where they are. Unfortunately, they fell short of the technical qualification on this financial expertise part. They would both have qualified under the old rules which were valid up till the beginning of this year. Ironically, the post of Speaker of Parliament qualifies a person for the post of President. Parliament employs few staff and operates on a very small annual budget, smaller than that of many of our SME companies. It is definitely a very respected post, but certainly not one that requires one to be financially savvy which our laws say is required for the President to safeguard our huge (but undisclosed) reserves. Yes, our reserves are so huge and secret that even our first Elected President Mr Ong (sorry, I do not consider President Wee to be our first EP) could not get the government to reveal to him what reserves he was safeguarding. It is unfortunate that Mdm Halimah Yacob will not be going through an election. In an already very controversial election reserved only for Malays, it would have restored some of the lost moral authority by her winning against credible opponents through popular votes. She is after all, a veteran in elections and has won handsomely in the four general elections she stood in. Her opponents, if allowed through, are businessmen novice to the process of campaigning and without any campaigning machinery to back them. Alas, the contest was not to be. Perhaps Presidents are not meant to go through elections. We did well with Presidents elected by Parliament in the past. If anything, PE 1993 and especially PE 2011 show how vulnerable this post could be for the establishment’s favoured candidate. After all, the President has few executive powers. His/her powers were further crippled in the amendments to our laws this year for a Council appointed by the government to over-rule the president. Singaporeans could be more ready to vote against the establishment than they would in a General Election. Perhaps we need to wait for another election, this time an open one before we can find out more about how Singaporeans think about choosing their President. Or perhaps, rules can be amended again by then. On Friday, former Presidential candidate Dr Tan Cheng Bock called a press conference to question why the late President Wee and not the late President Ong was considered as the first Elected President (EP). It was also an argument that Member of Parliament for Aljunied GRC, Ms Sylvia Lim had put forth in parliament as well during the debate on the changes to the elected presidency. Blogger Andrew Loh captured their arguments, as well as listed many evidences of how history and Singaporeans, myself included definitely, had always regarded President Ong as our first EP. At issue would be whether the upcoming Presidential Election (PE) should be a reserved election for Malays because it pertains to whether 5 continuous election terms had passed without producing a Malay President. The government’s unconvincing response so far has been that it was the advice of AGC to consider President Wee as the first EP, thereby triggering the reserved election. However, the government would not publish the advice of the AGC despite attempts in parliament and by the online community to ask for it. The AGC may well have their reasons for advising the government in this manner, but it is also the government’s prerogative to decide if it wishes to accept. There are after all, good counter arguments against it. President Wee may have been given the powers and duties of an elected president but he was nominated for the position before the EP position was created. The powers of an EP were accorded to him near the end of his term as president until the first PE could be called. Hence, many Singaporeans are puzzled and remain unconvinced as to why the time should be counted from President Wee’s term because there was never an election to get him into office. The issue of EP has long been a contentious one. It was conceptualised as a safeguard of Singapore’s reserves during the 1980s against a possible future ‘rogue government’ when the opposition started to make inroads with the electorate. For the first PE in 1993, ex-banker Chua Kim Yeow openly said that he was persuaded by former DPM Goh Keng Swee and then-Finance Minister Richard Hu to stand for election against the establishment’s preferred candidate, former DPM Ong Teng Cheong, in order to give a choice to the people. He however, seemed reluctant to campaign Singaporeans to choose him. That irked me enough to write and have my first letter published in the forum pages of Straits Times. I felt it seemed to be a contest for the sake of having a contest to give legitimacy to the first PE. Apparently, I was not the only one to have felt so because other forum writers and even journalist Bertha Henson also wrote to urge the late Mr Chua to show that he really wanted the President’s job. We next had two uneventful PEs which were walkovers because only one suitable candidate was available for both elections. It wasn’t that there were no interests to contest. The barriers to qualify had been set very high and those who qualified were generally uninterested to offer themselves. Singaporeans generally lost interest in PEs until 2011 when four eligible candidates campaigned vigorously for the post. After the nail-biting results of PE2011 in which President Tony Tan won Dr Tan Cheng Bock by just 0.45% with 35.20% of valid votes cast, the people’s expectations had been set high for PE2017. Dr Tan declared last year that he would contest again in 2017. Subsequently, just months before the upcoming PE, the government pushed through various amendments to the EP that include setting aside reserve election for minority candidates if no President of that minority race was produced after 5 consecutive terms, as well as increasing the qualifying criteria for the top executive of private companies. The top executive now needs to run a business with at least $500 million in shareholders’ equity compared to $100 million in paid up capital previously. The previously very high barrier, has now been set to extraordinarily very high. The government has now declared PE2017 to be a reserved election for Malays (counting 5 terms from President Wee). The candidate will be from a very, very short list, and most likely from the public sector (i.e. political appointees). I find it a big letdown that Dr Tan, who was found eligible to contest in 2011, contested vigorously, and who continued to show interest since then to contest again, is now disqualified on various counts. The government had pushed for the clause to have reserve elections for minority on the reason that voting is very much race-based. Well, we had minority candidates winning in elections against the majority chinese race in single seat contests many times since independence. Recent ones include Mr Murali Pillai in the 2016 Bukit Batok by-election and Mr Michael Palmer in Punggol East in GE2011. Both won very comfortably. Even opposition politician, the late Mr J. B. Jeyaretnam won in a 3-corner fight in the 1981 Anson by-election. The government had never put forth a Malay candidate since the first PE in 1993, even when we had two consecutive walk-overs with only one candidate each time. Now it has decided that it is important to ensure minority representation and passed the reserve election amendment. There’s nothing to prevent the government from recognising President Ong as the first EP and having the upcoming PE2017 as an open election. It can still put forth a Malay candidate. If it is as widely speculated to be Madam Halimah Yacob, the current Speaker of Parliament, the government should have confidence that she can stand her ground in an open election. She has won comfortably in four general elections and has high standing in the eyes of Singaporeans of all races. Many Singaporeans, myself included, do want to have minorities as Presidents. It will be truly a missed opportunity if we do not allow a highly suitable Malay candidate to become president on his/her own merits in an open election. It will quell the constant speculation that Singaporeans are immature and will vote along racial lines. Imagine if President Obama had somehow (although so unimaginable in the context of USA) been engineered into the White House because of rules safeguarding minority participation in politics, would he have been the popular president of all Americans that he was throughout his two terms of office? AGC may have their reasons for the recommendation but the government should find the courage to allow an open election, which it can if it considers President Ong to be the first EP. Then the EP office will be more respected. If it wishes to play safe and only have preferred persons to be in office, let’s just dispense with the EP and revert back to having nominated Presidents, which had served us well for so long and had given us good and popular Presidents. PE2017, with at least two interested and popular candidates contesting, would have rekindled Singaporeans’ interest in the office of EP. Instead, the response by the government to Dr Tan’s request for clarity and call for open election, is that Dr Tan’s comments did not require a response. The issue of priority registration for primary 1 for community leaders is something that I had been concerned about, and had raised in parliament several times. In 2012, then-Education Minister Heng Swee Keat had a written reply for my question on this privilege for grassroots leaders. He said that an average of 330 children were admitted yearly under the active community leaders scheme, just less than 1% of the primary 1 cohort (we have around 30,000 babies born each year). They only need to have served for one year as a community leader. In 2013, I joined in the debate on this issue with a supplementary question for then-Senior Minister of State for Education (SMS), Ms Indranee Rajah. I had asked if the Ministry has done any survey to see how many community leaders have actively contributed to the schools that their children are enrolled in, and ‘if it can be a criterion for community leaders to have first made specific contributions to the schools before they are being considered for priority’. The reply was that the SMS was not aware of any such survey and that the criterion is based on contribution to the community, as opposed to contributions specifically to the school. In other words, the community leaders need not contribute any time or service to the school the child is enrolled into under priority registration. This is strictly a reward for ‘contribution to the community’. I felt so because they do not necessarily add value to the primary school, unless they are also actively helping in the school in their position as a community leader. It becomes very transactional; the priority is a reward for the community leader, and a backdoor to get an edge to enter desired primary schools. MOE has been touting that “Every School is a Good School” for several years already. So every school should be good enough for the community leaders’ children. Yet allowing for such privileges sends exactly the wrong signal, even if in a subtle way. That’s the same way ordinary folks will feel when a leader says that every school is a good school but they see that the leader’s own children are in preferred schools. I think it is time to do what we say. I read to my great surprise this feature by The Straits Times today, “Workers’ Party trying to move forward” (http://www.straitstimes.com/politics/workers-party-trying-to-move-forward). “It is also, perhaps, trying to send a signal about the importance of party discipline, insiders say. 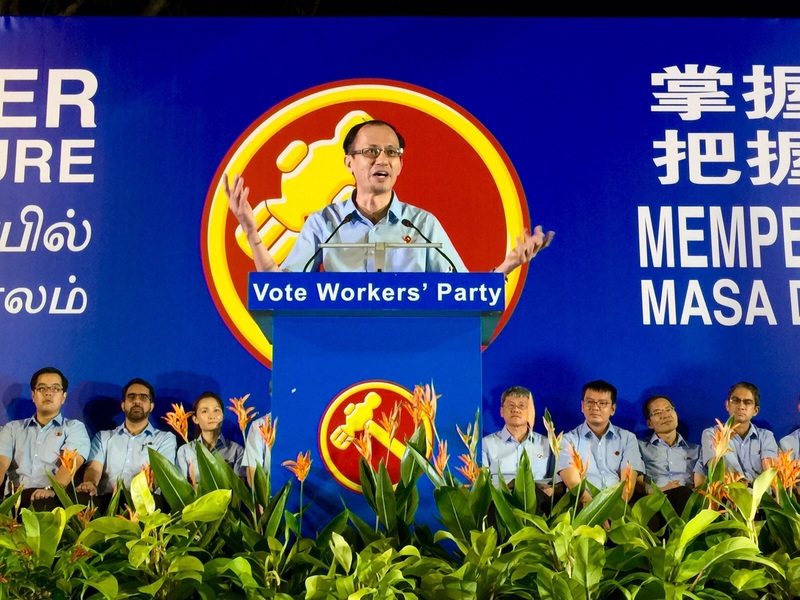 As leader of the WP team for Marine Parade GRC for GE2015 (or Team Marine Blue as we call ourselves), I am shocked by what was reported of “simmering discord” and “displeased party leaders”. Allow me to put on record that I have become even prouder of the team since delivering that speech. 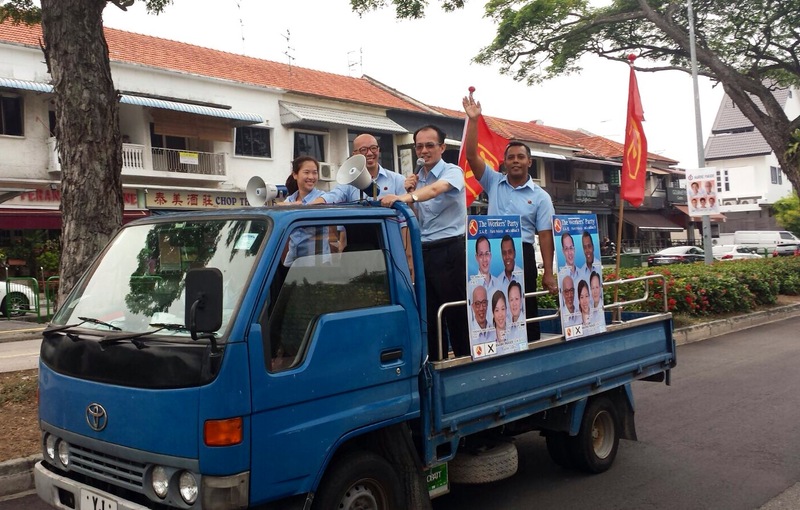 Marine Parade GRC was never going to be an easy contest. We were thrust into that battle because a small but powerful Electoral Boundaries Review Committee. 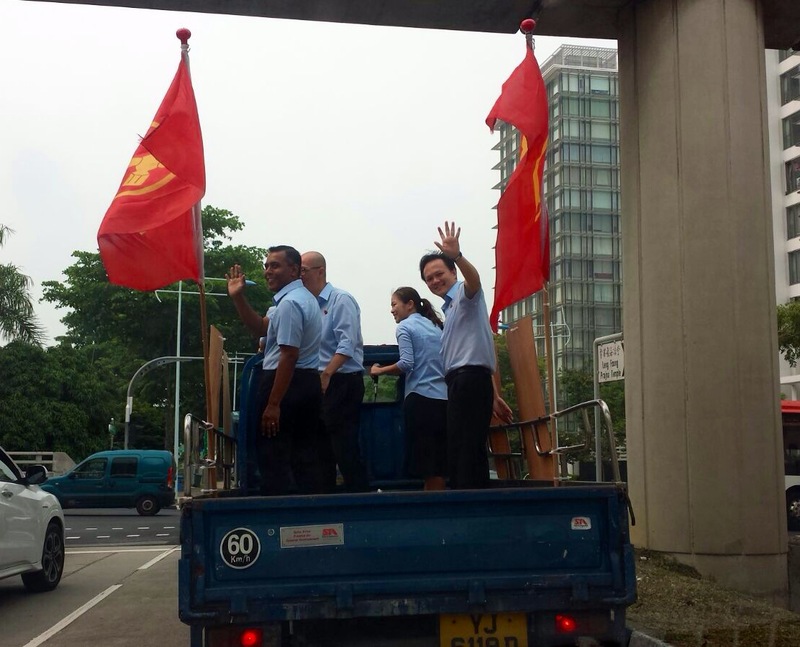 We had just 6 weeks to campaign in one of the biggest GRCs that is a stronghold of the PAP. The team had signed up for the contest knowing very well of the challenges and of our chances. Yet, they pressed on diligently to visit almost all of the public housing units and a good number of homes in the private estates. We had many volunteers to manage, many of whom were signed up only during the campaigning period. Keeping volunteers trained, organised and motivated in such a short time was challenging. Yes, it was stressful for all of us and things could always have been done better in hindsight. I am proud of how each of them managed their group of volunteers as we divided up our roles and areas to cover as much ground as we could. Except for me, all were first time candidates. They also had to prepare for and deliver their own rally speeches, often a formidable task for new candidates. We were also given encouraging words by the party leaders during the campaign and even after the results were known. Today, a month after polling day, I am pleased to say that all candidates of Team Marine Blue remain committed to the party, with some taking on additional responsibilities within the party. My respect for each of them has increased throughout the campaigning and thereafter. They are all good team players, completely dedicated to the tasks they had been entrusted with, no matter how difficult the tasks were. Never mind the difficult circumstances and short time that were given to us to put the team and campaign together. I could not have asked for better fellow candidates. I am deeply disappointed that the Straits Times had run the report on the Marine Parade Team without checking the facts with me or any of the candidates. How many ‘insiders’ did they speak to and what evidences do these ‘insiders’ have of ‘discord’ and ‘power play”. The article did, however, allow me this chance to publicly say “Thank You” once more to my wonderful Marine Blue team members and our many volunteers. “Let me first introduce you to Terence Tan, lawyer. Many would know that he fought the cases for AHPETC with NEA and with MND, pro-bono, without charging us any fees. He also does pro-bono work for capital offences cases and others requiring legal aid. He is not just a lawyer, but was an entrepreneur who started a popular bar and restaurant establishment early in his career. He had stints overseas that included being the Managing Director of a multinational hotel group with operations from Spain to South-East Asia. Terence joined WP after GE2011 and has been walking the ground with me for over 2 years. He’s also a local boy of Marine Parade GRC, a Peranakan who lives in the traditional part of Joo Chiat. Terence has served faithfully in our grassroots and meet-people-sessions. Today, he’s your candidate for the Marine Parade GRC. Next, we have He Ting Ru, just 32 years old and already a successful corporate lawyer heading up the legal department in a public listed company. She volunteered as a helper in our Meet-People-Session right after GE2011. She came on her own, seeking to find ways to contribute to Singapore. From there, she expanded her work into our community events and diligently assisting in the policy work of our parliamentarians. You may find it hard to believe that a bright, successful and busy lawyer would spend so much of her free time to volunteer week in, week out with us, but here we have the living proof. Ms He Ting Ru, your candidate for Marine Parade GRC. And right in the Malay heartland of Singapore, is your local boy, Mr Firuz Khan from Haig Road. He has been in the Party longer than I had, since 2006. His service was disrupted when he went with his family to UK for several years, where he started a successful chocolate factory. Then he came back to Singapore in 2010 and continued his service with the Workers’ Party serving Singaporeans. Firuz’s heart is in the right place. He took a pay cut from his banking career in 1999 to be the principal for the Pertapis Children’s Home, where he had learnt first-hand the issues of those that have fallen through the cracks in the Malay-Muslim community. He is also a hands-on guy, who started and grew the Royce’ Chocolate business for the Japanese company in Singapore and in the region, before starting his own chocolate factory in Wales, UK. Mr Firuz Khan, a hands-on person with commitment to help the vulnerable and needy in the community, your candidate for Marine Parade GRC. Last but not least, Mr Ng Foo Eng, Dylan. Foo Eng came from a humble family background, studied in neighbourhood schools, worked his way through university. He found success in his banking career, working in both local and foreign banks. He has built up the wealth management business for the bank from scratch. Foo Eng is passionate about serving the community, and has served as a volunteer in WP’s grassroots and in the meet-people-sessions. Mr Ng Foo Eng, your candidate for Marine Parade GRC. Cleared my locker in parliament and gave chocolates to the nice staff in parliament who have been most helpful, whether in finding information in the library or helping with my filing of parliamentary questions and in other administrative things, as well as those looking after our welfare. I have enjoyed my 4 years in parliament. It has been an enriching experience for me. Looking back, I am happy to see changes in the early childhood sector which I believe will lead to child care becoming a higher quality public good affordable to the masses. I am also glad that there is better recognition of the need to have more pathways for late bloomers in education and in their careers (although a lot more still can be done). Pilot 10-year through-train schools from primary to secondary. I had spoken on this every year in parliament, as well as outside of parliament. I do hope that more will feel convicted to push for this as an option for those who do not wish to have their children being caught in an academic rat race of constant sorting by academic abilities. School-based student care centres in all primary schools and greater government support to grow the student care industry. While MOE has pushed for more school-based centres in the last couple of years, we should not stop till every school has such facilities. In addition, I believe that better support by both MOE and MSF can be given to the industry so that student care can become a quality public good with private/VWO partnership, and fees will stay affordable. Grow our local industries and make winners out of them internationally. This can be in the form of better supporting infrastructure and schemes, and importantly to cultivate a mindset to support our local enterprises so that they can have a strong local base to move forward in the international scene. We will need to have the spirit of innovation, quality and risk-taking in our next generation of local enterprises. I congratulate all who have made it back into parliament. I also wish a fruitful journey to those who are coming in for the first time. Let’s empower our future! Dear voters of Marine Parade GRC, dear supporters of the Workers’ Party, dear Singaporeans. It has been 7 weeks since we were thrust into the battle for Marine Parade GRC when the EBRC report was announced. It has been a very tiring 7 weeks as we pounded the streets day and night to make up ground. We are very grateful to supporters and residents whom we have met that have shown us your care and love. We are very touched by the volunteers who have put in hundreds of hours each of toil and sweat to help us see to every aspects of our campaign, sometimes into the wee hours of the morning. You have been most wonderful. Thank you! I am very proud of my team who have run a good campaign. Although Marine could not be blue this time, we believe one day it will! I pray that the young and passionate candidates whom we have offered to you for this GE will find it in them to overcome the setback in this GE and continue on the journey with you, so that we can move together on the long and difficult road of building a rational, responsible and respectable alternative for Singapore. Separately, our team were out and about this morning in our preambulatory truck across the GRC to thank residents. It was a day of bad haze that clouded the place. 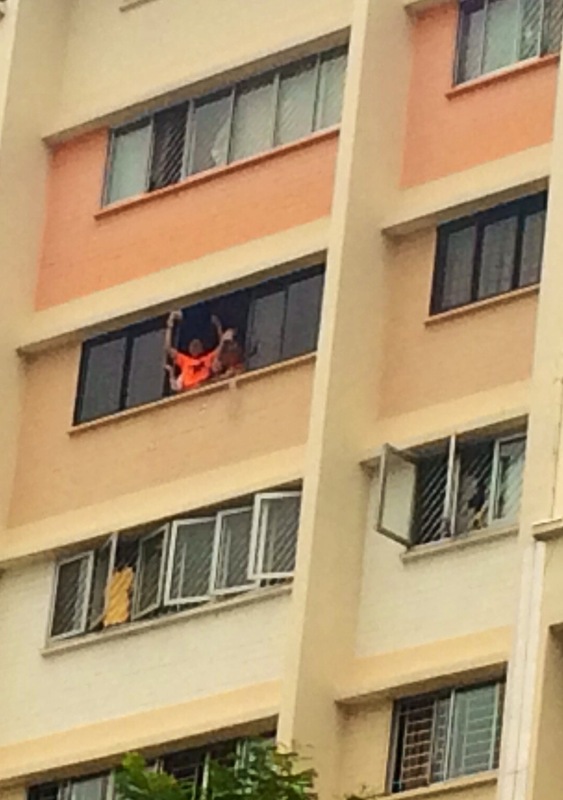 Despite, the haze, our team kept our spirits up as we greeted residents and waved to them from afar. Thank you for your support. The Workers’ Party thanks all friends and supporters for being with us through this challenging campaign. We will take lessons from this as we move forward to the next battle. Dear East Coast GRC and Fengshan SMC residents, dear Singaporeans. Good evening to you. This place is special to me because I have many relatives and friends living here. My alma mater, Temasek Junior College, St. Patrick’s School and St. Stephen’s School are near here. Good evening dear residents of East Coast GRC and Fengshan SMC. Dear Singaporeans. I am sure many residents of Marine Parade GRC are here too! I am Yee Jenn Jong, a candidate for the Workers’ Party for the Marine Parade GRC. During GE2011, I also spoke at this stadium. Today, I am happy that we have very good candidates for East Coast GRC and Fengshan SMC. I have worked with fellow NCMP Gerald Giam on many parliament and party work. He is hardworking and passionate. Daniel Goh has been a key pillar for our policy research. I often worked with Leon Pereira in policy research on economics. Fairoz is a committed and very principled person. Dennis Tan first joined me doing house visits in 2011. He has since been involved diligently in many aspects of the Party’s work. I am very happy that he is our candidate for Fengshan SMC, because many of my relatives live here, and they will be well taken care of by Dennis when you elect him into parliament. As you have heard, the Blue sky will come up first in the east. And with the blue sky, will also be the blue Marine. Remember: Marine is blue, not white! Please vote for our candidates in East Coast, Fengshan, Marine Parade and in the other constituencies that we are contesting in! Today, I want to talk about a topic close to my heart – Fear. Fear is real and personal to me. The first fear I wish to talk about is fear of being an active participant in the political process. Fear had kept me from being involved in the Workers Party until 2011. I had long wished to be part of the fight for a better Singapore by building a stronger alternative to the PAP. I had been a critic of policies in the forum pages of newspapers and in government’s policy workgroups which I had been a member of. Taking the stand against the PAP in the political arena was something else. I remembered that in 1994, prominent government critic Catherine Lim was taken to task by then-Prime Minister Goh Chok Tong for stepping over the Out-of-Bound or OB Markers. Mr Goh had told Ms Lim that if a person wishes to comment regularly on politics, the person should do it in the political arena. I was also a critic, and one who did not yet dare to do it in the political arena. Many of the contracts in my businesses were with the government. Even after I had sold away my main business, I had to deal with the fear in my close family members. I had to deal with their strong objections for me to be in the opposition. I am thankful that eventually, I received their blessings in time to take part in the last GE. They have since become some of my strongest supporters. Having taken that leap of faith, I have learnt that I can overcome fear. As long as one is responsible and rational, people will accord you respect. My businesses are still mostly with the government. It has not suffered. I am especially grateful that my alma mater, Temasek Junior College gave me the Distinguished Alumnus Award in 2013, two years after I had enter opposition politics. My friends have not deserted me. For Singapore to have a credible alternative, we need people unafraid to step into the political arena. Today, we present to you 28 candidates. I know there can be more. People need to overcome their inner fear. The second fear I want to talk about is the fear in some voters that your vote is not secret. 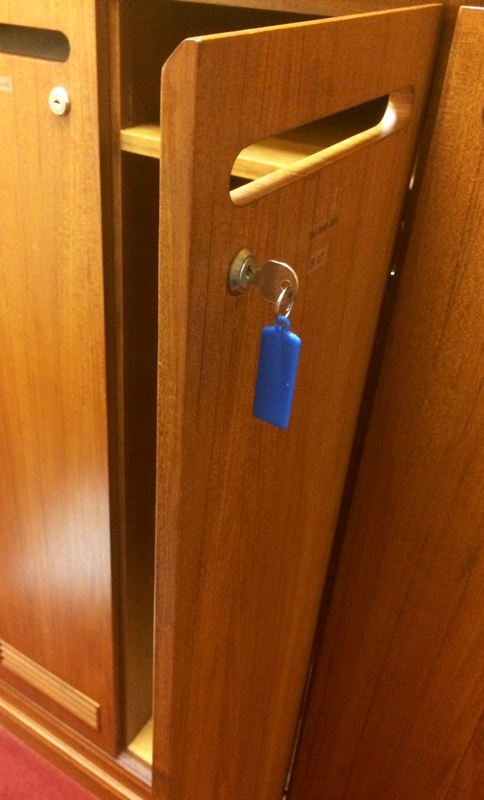 I know it is secret because I had taken part in the last GE and we had witnessed the ballot papers being sealed in boxes after counting, with our signatures on the seal of the boxes. The boxes are taken to be burnt 6 months later. We have the responsibility to check that our seals are still intact on the boxes before they are burnt. Two days ago, I was in a condominium doing a town hall-styled presentation with residents. This question was asked. One of my volunteers, a medical doctor in a restructured hospital, shared with the group that he has openly made known that he has been and will be voting the opposition, and he continues to receive his promotions. Your vote is your sacred choice. You can choose freely who you wish to support. You need not fear how you vote. I have been voting for the opposition for many elections already and I have not been deprived of opportunities, nor have my businesses been affected. The third fear is the fear of a freak result. At every GE, the PAP will tell you about freak results in one way or another. Now with all 89 seats being contested, they are saying it again. Firstly, it is extremely difficult for an opposition to win in an election, especially in seats that the PAP is the incumbent. I know this, because I had worked very hard in GE2011 and came 1% short. The closer you are to the 50% mark, the harder it is to win the extra swing voter. But we will continue to work hard. The PAP knows the election results by precincts, which they can study to decide electoral boundaries. The GRC system works to their benefits as they can decide the best configuration to strengthen their chances. In any case, election results reflect the will of you, the people of Singapore. Election results should be respected. Fourth, is the fear that investors will go away if the results are not favourable to the PAP. We should not be having this fear. Many developed countries, including those with population sizes comparable to Singapore, are able to have change of government without issues. It is more risky to put all our eggs with one party. What if the current ruling party fails? All the more, we need to ensure the future of Singapore by ensuring that there will be continued good leadership in the alternative camp. This GE, you see many young and professionally competent candidates that the Workers’ Party has offered to you. I strongly believe that as we can build up alternatives that are respectable, rational and responsible, investors will not be afraid. The only people who will be afraid will be the PAP! Finally, there’s the fear that the PAP has been trying very hard to put into you that if you vote the alternative in, your estate will be in a mess. Your town will be messed up. People of Hougang, Aljunied and Punggol East have shown the way. Their lives have gone on as per normal. A couple of days ago, the newspaper reported that residents in Aljunied have seen more of the human touch in their town. After years of the brave voters of opposition wards resisting PAP’s upgrading carrot, the PAP has relented on their bad policy of ‘upgrading for votes’. Today, you see lifts and estates being improved in Aljunied, Hougang and Punggol East. Our commitment, our firm commitment will be to ensure your estate will continue to be run well. Dear Singaporeans. Fear will only set us back. Fear will stop us from realizing what we are capable of. We need to empower ourselves to have a better future. Come September 11, vote with your heart. Vote without fear. Vote The Workers’ Party. Empower your future! 3 天前，在义顺的群众大会结束后，我去了在如切的德明路小贩中心吃orh luak. Wah, 马林百列的orh luak真好吃，和凤山的有的比! Good evening dear voters of Marine Parade GRC, dear Singaporeans. Two days ago, ESM Goh Chok Tong had said that voters can have their cake and eat it. He said that the NCMP scheme is good enough for opposition to be in parliament. You can vote the PAP in and there will still be NCMPs to be voices in parliament. Do you know what the PAP wants? They want to bring Singapore back to the dark days of politics where they have absolute control over everything. The PAP just wants a blank cheque to do what they want so that they do not need to listen to you. Voters of Singapore, you, you have the power to stop them. You must stop them! ESM Goh seems to like cruise ships. He likened the PAP and opposition to cruise ships. He said that the PAP’s ship has a clear destination. Yes, it is destination to a population of 6.9 million. The PAP ship is sailing there even though Singaporeans have clearly rejected this destination. It is sailing away with a Swiss standard of living for selected elites, but a Swiss cost of living for all of us! This year, the Economist Intelligence Unit has listed Singapore as the world’s most expensive city to live in, for the 2nd year running. And I am not sure what type of cruise ship we are in when our elderly needs to collect cardboards, not for exercise, but to make a living. ESM said that the opposition is like a ship on a journey to nowhere. They are like casino ships. Hey, wait! Who put casinos into Singapore? No the Workers’ Party! We had rejected casinos when it was debated in parliament. ESM is mistaken. The casinos are on the PAP’s ship on the destination to 6.9 million. The Workers’ Party’s ship is on a journey towards a dynamic population for a sustainable Singapore! Yes, a dynamic population for a sustainable Singapore is what we like to see for our children. When one looks at the government’s argument in its population white paper, you get the sense that Singapore is a big factory. We need 2-5% economic growth yearly. Our local workforce will shrink. To achieve the economic targets, the population white paper worked out a 1-2% increase to our workforce yearly. Based on that, Singapore will receive large number of immigrants. It will bring our population to 6.9 million by 2030. It will bring the percentage of citizens in our population to just 55%. In just 15 years from now, almost half of anyone in Singapore will not be a Singaporean. It is hardly a sustainable Singapore. And after 2030, what’s next? What will this government continue to do in order to have that desired economic target? If we are just Singapore Inc.; if we are a business that looks coldly at hard economic data and at the bottom line, then what the PAP is doing will sound logical. However, we are not a business. We are a country, a nation. We can coldly grow the economy, but it will lead to cracks in society. It will lead to a crowded and divided Singapore. It will lead to a Singapore with high income inequality and where people do not feel they belong to. As difficult as it may be, we need to invest in Singaporean workers and in our local enterprises. We need to empower ourselves to be sustainable in the long-run. In our businesses, we need to develop confident Singaporeans and dynamic Singapore companies, able to compete on innovation with the world. I have spoken on this topic in parliament on several occasions and we have outlined proposals in our manifesto as well. We need to empower our future. Vote our WP candidates and I into parliament, and we will continue to push for a dynamic population for a sustainable Singapore! As you all know by now, I contested in Joo Chiat SMC in 2011 and lost by 300 over votes. I did my best to reconnect with residents of the SMC for the past few years, mostly in publicly accessible areas. On 24 July, just 6 weeks ago, I found that the field that I was playing in had suddenly grown 5 times in size. I had to take the ball from a far end and start running towards the goal post again. I am thankful that we have received lots of support. Over the past few weeks, several condominiums have allowed us to meet with residents. I am sorry that we are not been able to enter some condominiums because permission has been refused. In the course of our visits to many parts of the GRC, I had found that the Workers’ Party had contested actively in many of these areas in the past, and some very recently. The Workers’ Party had contested in areas such as Joo Chiat, Kembangan, Chai Chee, Ubi and Eunos. Boundaries were shifted at every General Elections, with very short notice between the EBRC report and nomination day. Marine Parade GRC has had constant change of boundaries. Residents in Serangoon Central can claim to have sea view property because they are in Marine Parade! I think it is time. 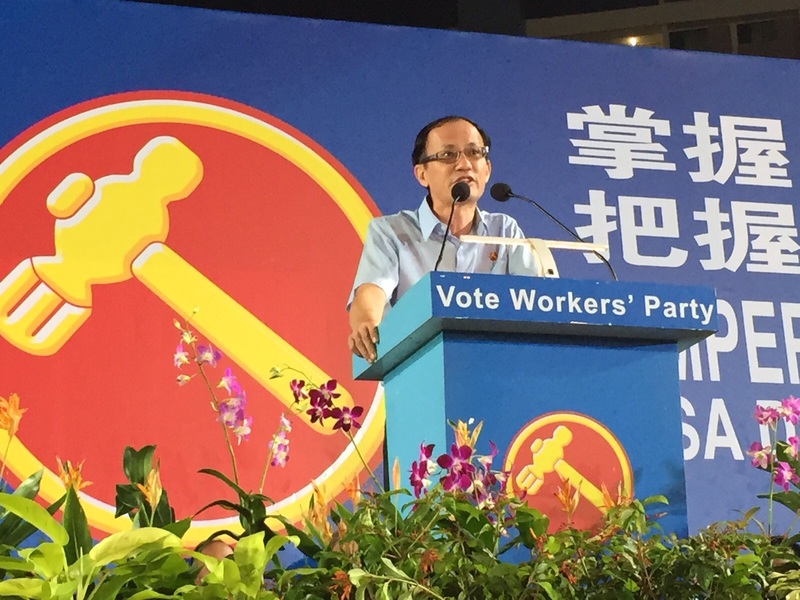 It is time for the Workers’ Party to offer ourselves as a choice to serve residents of Marine Parade. People have asked how we will manage this GRC if we are elected. First, the TC will be directly managed. We already have 7 WP MPs and staff who have town council experience. This will provide us considerable expertise to tap on for advice in how to handle a changeover of management and to establish operations quickly. A key priority will be to ensure that there will continue to be proper maintenance and cleanliness. We will also want to focus on the Heartware, as in H.E.A.R.T. As in how WP had managed Aljunied, we will move in quickly to establish our own grassroots. There will be regular activities amongst residents to create bonding and to build a community spirit. We will also work with Voluntary Welfare Organisations and government institutions to ensure that essential help will continue to be given to vulnerable sections of the community that need them. I have now been in WP for nearly 5 years. I can say with conviction about something that I have observed first hand. Given access to fewer resources, our MPs and volunteers work a lot harder. There is a greater human touch, something that is coincidentally reported in today’s newspaper about how Aljunied has changed. 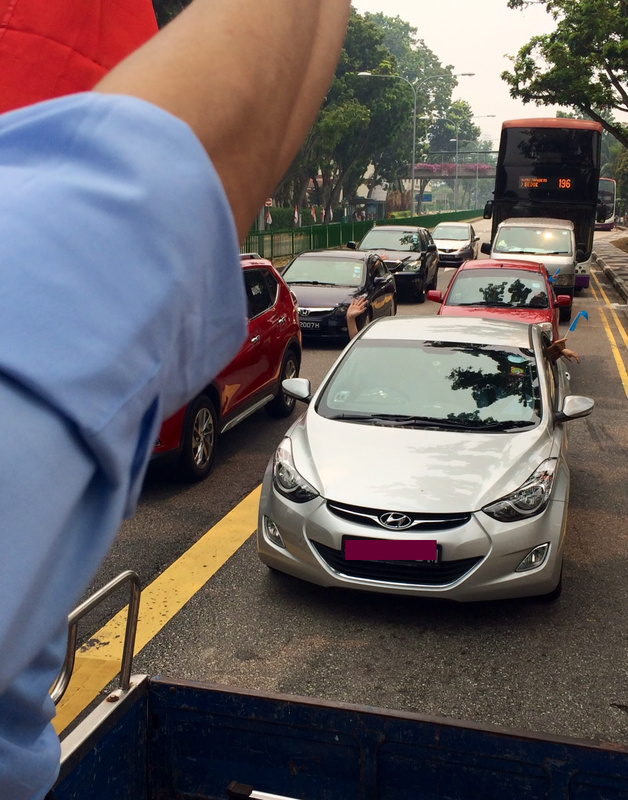 There is a bigger human touch in Aljunied now than before. I dare say this for my team members too, because I have worked with them and I know know that they are hands-on people. They have all joined the Workers’ Party first as a volunteer, working hard on the ground in all sorts of activities such as helping with meet-the-people sessions, grassroots events and with policy work. They stepped up to our call to be candidates in this GE. They are qualified professionally, but we did not pick them only because they are qualified. We saw how they had worked quietly and diligently for a long time and hence we want them to be your representative in parliament, your representative to see to your needs. At this juncture, I like to give a big thank you to the many volunteers who had helped diligently, into the wee hours of the morning every day just to get our campaign here going. It is difficult because we had just a few weeks to put everything together after the EBRC was out. I am so proud of my team of volunteers. Thank you! Let me introduce the team of candidates again. Terence Tan, lawyer and entrepreneur. He Ting Ru, head of legal department in a public listed company. Firuz Khan, entrepreneur, the chocolate man and a social activist. Dylan Ng Foo Eng, head of wealth management in a foreign bank. People with different and complementary backgrounds but with something common. They are people with passion and heart for the people. This is Team Marine Blue. 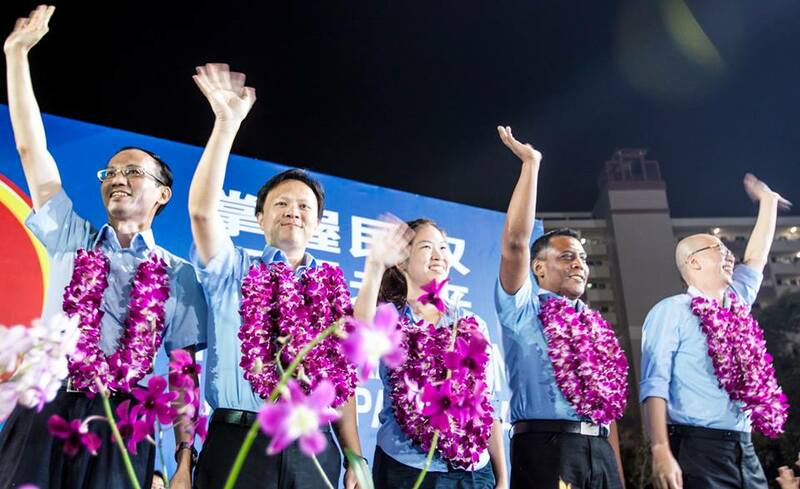 Come Sep 11, vote Team Marine Blue, vote Workers’ Party. Empower your future! Dear Singaporeans, thank you for being here tonight. In my house visits these 2 days, I have met so many residents that have come from far away to attend our rallies. Your support has given us strength to press on in our campaign. Today is Teachers’ Day. A happy Teachers’ Day to all educators out there! This quote stands out for me because this is what I believe is important in education – making winners out of ordinary people, making winners out of Singaporeans. For too long, our system sorted students through various major exams, trying to pick winners. We had ranked and branded schools and made parents so anxious. They are afraid that their children will lose out if they miss on a desired choice by just one point on the PSLE T-Score. In my 4 years in parliament, I have raised many issues, the most is in education. I have asked for putting school-based student care facilities in all schools, even before MOE started increasing the number of such places. I have raised issues on the number of foreign scholarships given out and found that many of these scholars had graduated with second lower honours or with poorer results. Just 2 months ago, in response to my parliamentary question, MOE revealed that their expectations for a foreign scholar is still a second lower honours because that is the Grade Point Average which they are expected to maintain throughout their studies. We have some 3,600 – 4,000 foreign scholars at any time in our local universities, at a cost of $25,000 per scholar per year. We spend up to $100 million each year just on undergraduate scholarships for foreigners. Yet we expect these scholars to graduate with just second lower only? We should set our expectations much higher when funding foreign scholars, especially when our universities now rank amongst the top 4 in Asian and around the top 20 in the world. Instead, let us invest more in our own people to make them into winners! One proposal you have heard from some of our candidates in the past 2 days is a 10-year Through Train School. I like to emphasize that we have proposed this as an option, starting with just 2 schools in each zone, or a total of 8 schools across Singapore. In parliament, I had also suggested that we exclude top schools from this pilot so we do not have the pressure being passed down to primary 1 admission. Only parents who truly believe in the education provided by these pilot schools should subscribe to this. After several decades of high pressure system, sorting at PSLE and ranking and branding of schools, even MOE has trouble trying to implement what PM Lee has promised in his 2013’s National Day Rally, which is to move PSLE away from T-score into banding by grades. 2 years after this announcement, no details have been released. It seems this issue will be passed on to perhaps the next Education Minister. Having such pilot 10-year Through Train schools is one way for parents to see how such a system would work, starting with neighbourhood schools. When parents see that it is possible for their children to go through such schools and still do well in life, we can start to talk about making more structural changes to our education system, with the aim of educating our children to make winners out of them. The Workers’ Party believes in empowering our people, to make them into winners. Come September 11, vote Workers’ Party. Empower your future! Dear Singaporeans, dear voters of Marine Parade GRC, dear supporters of the Workers’ Party, a good evening to you! Thank you for coming by the thousands, by the tens of thousands to show us your support. 4 and a half year ago, I started on the journey with the Workers’ Party. Voters of Joo Chiat SMC gave me a very strong support, even though I was a new politician then. I was greatly encouraged by your support. It motivated me to work hard. I became a Non-Constituency Member of Parliament. I have raised many issues in Parliament in the 4 years of term, in areas such as education, business, manpower, the environment, early childhood, finance, and many more. My colleagues and I have raised issues in parliament a manner that the Workers’ Party strongly believes in, which is, being rational, respectable and responsible. On the ground, I have made many visits back to the SMC, almost on a weekly basis. I have gotten to know more residents. That’s what WP has been telling PAP. That’s what you, the people of Singapore have been telling the PAP for so long and they did not want to listen. You told them that the transport system needed fixing, that letting it being run by private companies as a duopoly was a big mistake. They didn’t want to listen. You told them the prices of new flats had gone crazily high beyond what young Singaporeans could afford. You told them that you cannot peg new flat prices to the resale market and that there were simply not enough flats for the so many people they keep taking into Singapore. They didn’t want to listen. Life was good, at least for them. Why change the system? Then they started to listen. 4 and a half years later, by the grand wisdom of a small but powerful committee, Joo Chiat SMC is no more. A wise elder stateman recently said that oppositions are like nomads looking for territories to contest every elections. Well sir, I am no nomad. You didn’t keep Joo Chiat SMC, but hey, nevermind. I am still here! In the past 4 years, besides visits within the Joo Chiat SMC, I sometimes also ventured into nearby areas such as the original Joo Chiat, to Chai Chee, to Kembangan, to Eunos and to Ubi. Guess what some people are saying to us? Some are confused too as to which constituency they are in. Some have been in a SMC before, some in Aljunied GRC, and some in the East Coast GRC. So some residents even described themselves “nomads”, shifting constituencies at GEs without ever moving away from their homes. So on 24 July, when the new electoral boundaries were out and Joo Chiat SMC was removed, I have to admit that I was initially quite lost, for the next few hours, about where to contest in. Then I remember some valuable lessons I had learnt from young; that if someone pushes you around, stand up to the bully and take the fight back to them. Otherwise, they will just keep doing it, again and again. More importantly, I believe we are all, first and foremost Singaporeans, who love our country. We all want a better future, not only for ourselves but also for our future generations – regardless of which constituency we are in. I know we can form a very passionate and good team to serve Marine Parade residents. My team and I are here today ready to serve the Marine Parade residents! The EBRC report also made me reflect on why I had joined the Workers Party in the first place. I had wanted to see a fairer democratic system, where rules are clear and contests are fair, and Singaporeans can choose the leaders without fear of repercussions. I had wanted to see a stronger alternative being developed, because I think it is dangerous to leave it only to one ‘A’ team. I had strongly believed that Singaporeans are talented. We are more talented than the PAP thinks we are. There is enough for more than one ‘A’ team and that we can benefit from a contest of ideas. So my mind became very clear. The next morning after the EBRC report was out, I requested for the Party’s leadership to let me lead a committed team into Marine Parade GRC. I didn’t have to look far for the passionate team members whom I had wanted. They have been right in our midst, serving alongside with our many volunteers. Let me first introduce you to Terence Tan, lawyer. Many would know that he fought the cases for AHPETC with NEA and with MND, pro-bono, without charging us any fees. He also does pro-bono work for capital offences cases and others requiring legal aid. He is not just a lawyer, but was an entrepreneur who started a popular bar and restaurant establishment early in his career. He had stints overseas that included being the Managing Director of a multinational hotel group with operations from Spain to South-East Asia. This is a team that’s part of the renewal story in the Workers’ Party. This is a team that’s willing to take on the difficult task in what the PAP considers as one of its strongholds, to give you a credible alternative to choose from. We know the challenges are not just in fighting this election. We know there will be lots of start-up issues. This is a team with a good range of complementary strengths and operational expertise that can see this through. You will hear more from this team in the coming days. This is team Marine Blue, because Marine should be blue, not white! Come September 11, vote the Workers’ Party. Empower your future!